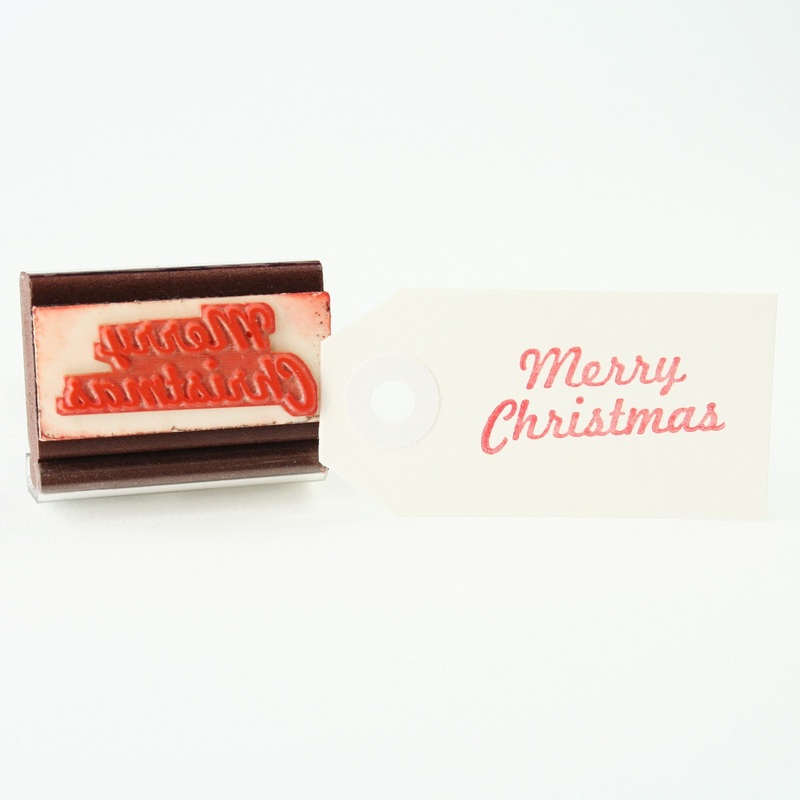 New, just for the holidays the sweetest little stamp kit you ever did see. 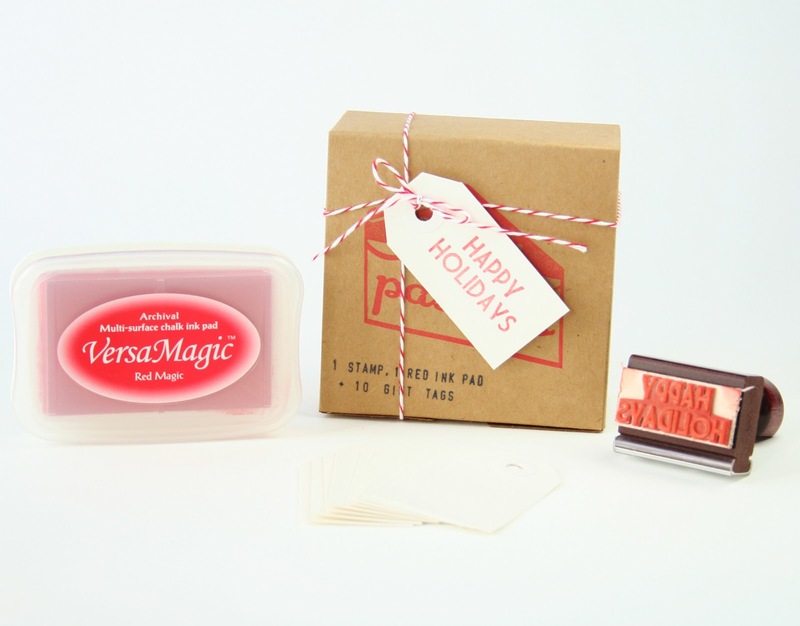 This stamp kit includes 1 wooden handled stamp, 10 blank white gift tags and one red premium archival ink pad. 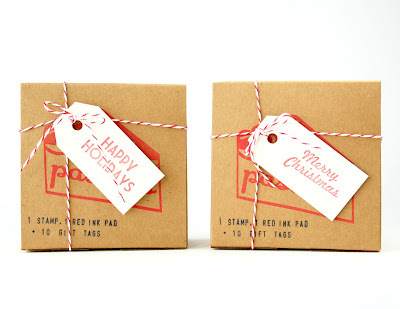 Choose from "happy holidays" or "merry christmas." 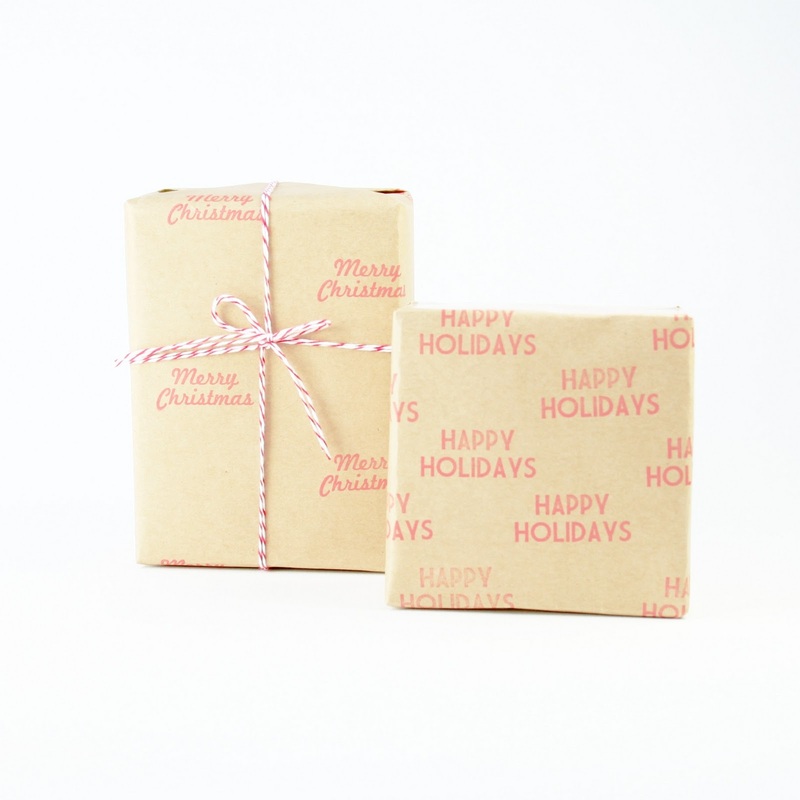 Makes a great gift for your crafty friend or family member. 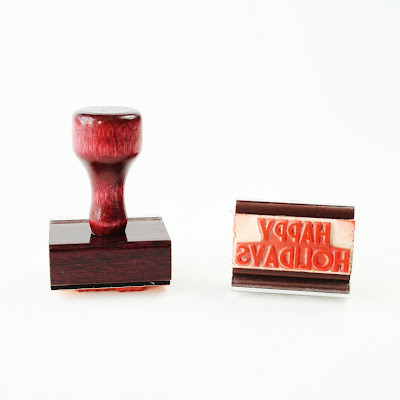 Each stamp measures 1 inch high by 1.75 inches wide. 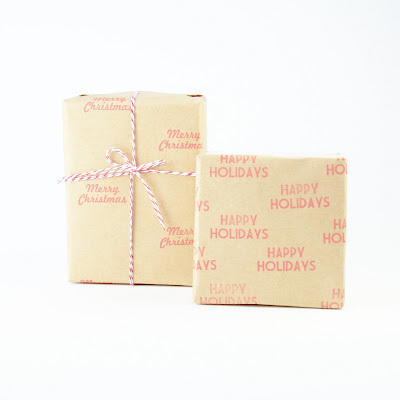 This comes ready to give, packaged in a kraft gift box and tied with red and white divine twine. 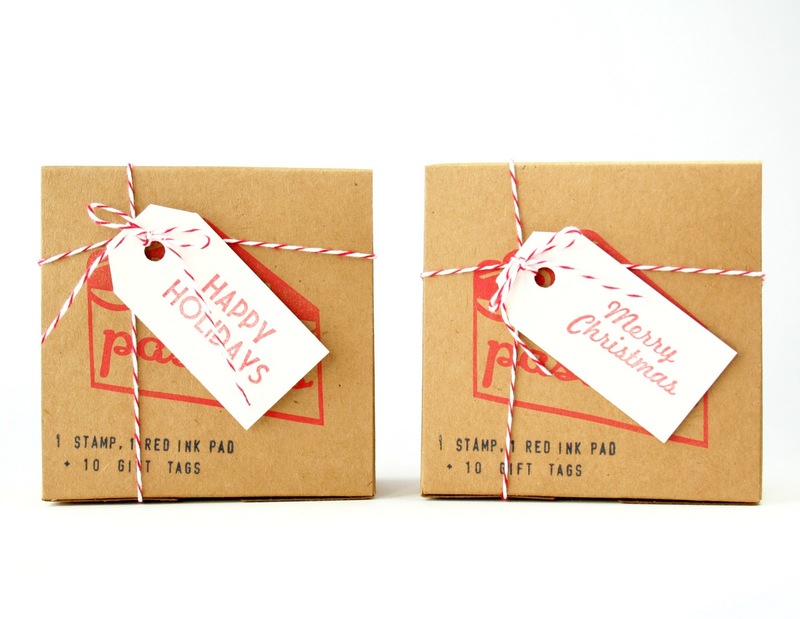 Use to stamp your own gift tags, decorate envelopes, and make your own gift wrap. The possibilities are endless! 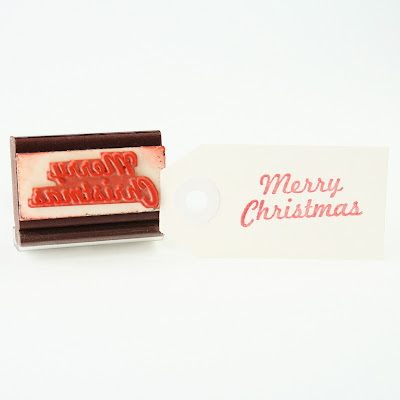 You are entering to win one style of stamp kit, merry christmas or happy holidays. Leave a comment here sharing your most memorable holiday moment- it could be a special gift, visit, or disaster. For another chance to enter, mention this giveaway on your blog, twitter (tweet @paperpastries), or facebook, just come back and comment again with the link. Good Luck! I'll choose a random winner next monday, November 8th. If you can't wait you can purchase one here. I would absolutely love one of these stamps! Thanks for the chance to win! One of the best Christmas gifts I've ever received was from my then boyfriend (now husband). We were just in the beginning stages of our relationship, and I had just moved to America from Holland (where I grew up). He must have caught on that I was really homesick for Holland. So for Christmas, he gave me a huge box full of my favorite Dutch goodies! It was so special! My most memorable holiday moment has to be the time I had bought my mother her favorite perfumed powder. Its not sold in our hometown, but I had managed to come across two of them in DC. (I was going to school there at the time.) I packed them in my suitcase, since I was going to meet her for the holidays in Mexico. Thinking that I would be fine just leaving them in my suitcase, since she had no real reason to open mine. Little did I know that she had mistakenly opened my suitcase and found them. On Christmas day she was like "Oh yeah, I knew that you had bought me the powder. I found them in your suitcase." Now whenever we come across the powder she always brings up the scenario. I remember one New Year's eve, we were gathered at our beach appartment with some friends of my parents. They brought along a Xmas tree candle which was supposed to play a song while it melted... it was kinda funny, actually. It didn't play a thing and melted in the most creepy way. We all laughed at the end of the evening and then came the fireworks and it was special. and I want to win the giveaway!!! Im already a follower! About five years my aunty died from ovarian cancer in the september and I was a complete mess so my parents treated me to flights to go visit my friend in Lyon where she planned for us to go skiing. we stayed at her bfs parents house half way up the alps and I woke up boxing day morning half way up the mountains covered in the most glorious snow with the brightest light and I remember crying my eyes out because I was so sad (she left two babies behind) but the view was so beautiful it really lifted my spirits. I had to call my mum n dad. it was a brilliant holiday and the dreamiest christmas view ever. One of my favorite holiday memories is when a family friend gave me cute Christmas mittens and took me to see Santa. I was so excited to see him and felt grown up taking a trip without my parents. I follow and I have a great holiday story for you! The family was done with dinner so we all went to watch some Christmas movies in the other room. My two uncles decided to stay in the other room and talk a bit (while drinking some wine). All of the sudden we hear them laughing and yelling. When we all get to other the centerpiece was on fire! And they were dancing around the table!? my best holiday memory was last year, when my German boyfriend visited my hometown in California with me for the first time and met all of my family and friends. They all totally adored him and he fell in love with all of them and my home state. Every holiday season is extra now as its the only trip I make back to California in the year and I cherish every moment surrounded by the people I love. and I LOVE these stamps! my most memorable holiday memory would be the one where i met my future husband. well, we met each other earlier that day through some friends, but we hung out mostly during the christmas party. i guess we hit it off right away! My best one is a few years ago. I waas at the university and everywhere was snowy and it seemed like I couldn"t go anywhere in that Xmas. I was so unhappy, but suddenly the snow stopped and I was able to go to my home, everyone was happy with that surprise. Thanks for this great giveaway, hope I will win this time! Such a precious gift idea! A memorable holiday moment for me is meeting the boyfriend's parents for the first time. His family is on the opposite side of the spectrum than mine. I never felt so loved but drunk! What a crazy, happy family! My most memorable Christmas was so long ago!!! I come from a very large family my mother has 6 sisters. So every Christmas as a child me and my 14 cousins used to put on a Christmas show for the family and we always messed up the lines, forgot the words, total disaster, but everyone enjoyed it at the end. 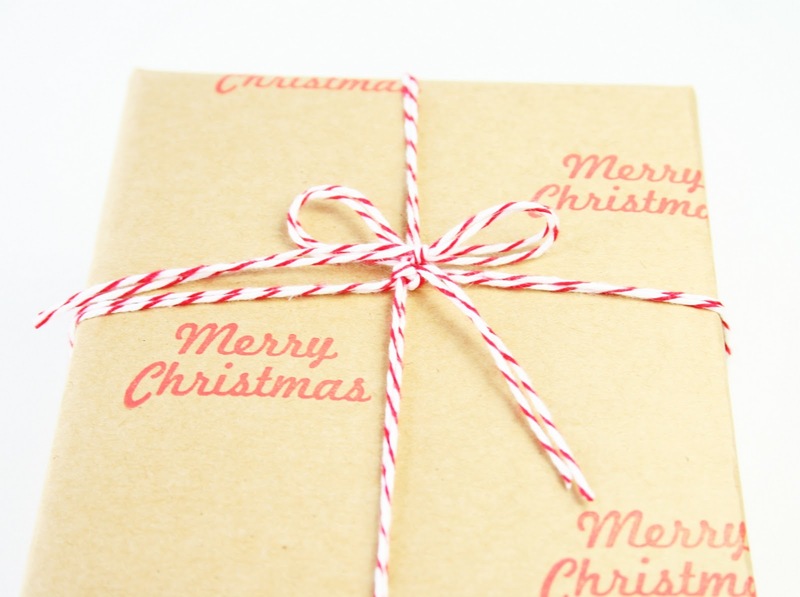 One of my most memorable Christmas' was memorable in a not-so-good way. I had gotten in HUGE trouble for something I did earlier in the year when I was a freshman in high school. That Christmas, my dad thought it would be funny to put a lump of coal in my stocking. It just made me cry. 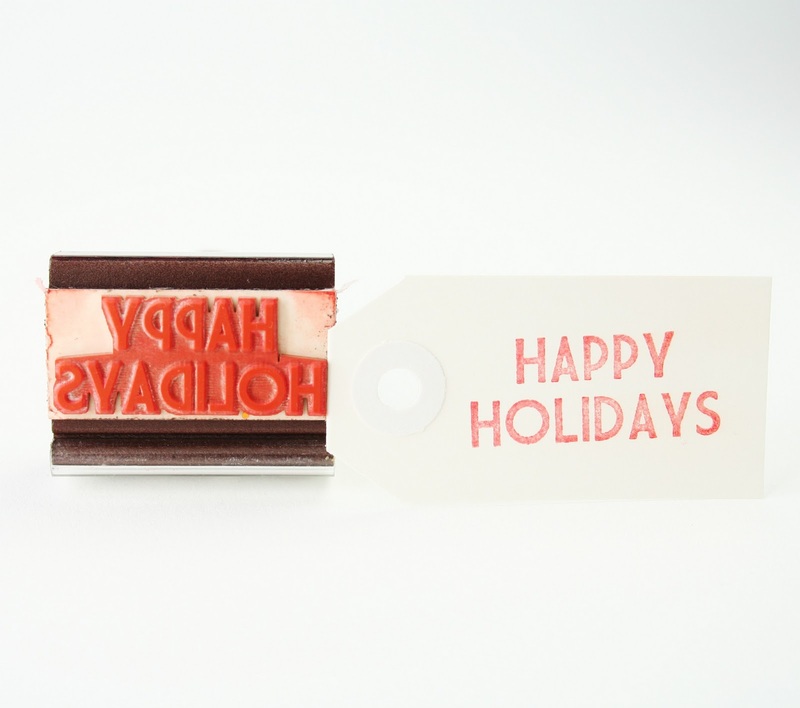 Oh I love those stamps! My most memorable Christmas happened last year. My husband and I had moved to a new town and we knew no one. It was just the two of us, and then he got sick. Everything in town was closed except the gas station (It was a really tiny town), there was fresh snow on the ground, and I kept thinking, "How am I going to get him to the hospital if he needs to go?" But we survived, he got better and we both know now that Christmas doesn't have to be perfect to be memorable. thanks for the chance to win! last year we had to drive to my boyfriend's sister's house on christmas morning to exchange gifts & then drive back. my dog was very cranky & apparently hungry because he smelled treats (his gift) that were in a bag in the backseat & kept trying to rip the bag open. he wouldn't let me near the bag though I would have just opened it for him & bit me! we now make sure to keep anything edible in the trunk & joke about how he ruined christmas!